If you already own an electric or battery powered leaf blower, you probably appreciate the time and effort it takes out of keeping your yard neat. 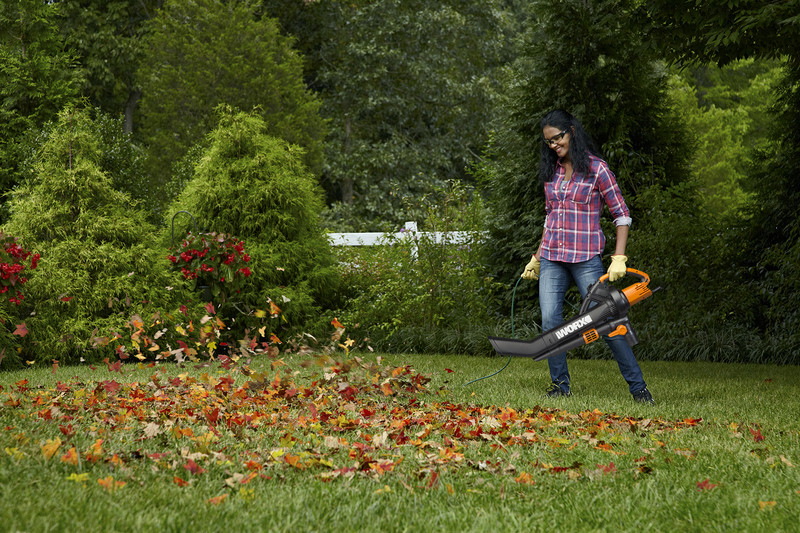 With a tool like the Turbine 600 electric leaf blower, you can remove leaves and other debris from the yard in a fraction of the time it would take you with a rake. There is also a wide range of leaf blower accessories that can expand the usefulness of these machines. While you may already know how to use a leaf blower to clean up your yard, an electric or battery powered leaf blower can be used for numerous other tasks. One of these includes using your leaf blower vacuum to clean the dryer vent pipe on your home. Cleaning the dryer vent duct is an important job because it not only helps to maintain the efficiency of this appliance, but it also decreases the potential for a fire by clearing the lint from the duct. This post will show you how to clean a dryer vent with a leaf blower. In fact, getting a clean dryer vent pipe is simple. All you need to do is prepare the vent by gaining access to it, and then you’ll be ready to clear the space with your electric or battery powered leaf blower. Before you can use your leaf blower/vacuum to clean the dryer vent pipe, you need to access the area with the vent and get it ready for cleaning. Start by moving the dryer away from the wall. Once you can access the area behind the dryer, you need to remove the vent hose by loosening the clamp. You might be able to loosen the clamp by hand. If not, you will need to get a screwdriver drill to loosen the screw that holds the clamp in place. Once the vent hose is removed from the back of the dryer, you will need to go outside to remove the cover from the vent outlet. Most vent covers are held on by a few screws, so you will just want to remove the screws and keep them with the cover before you begin cleaning the dryer vent duct. If you notice any lint or debris built up around the cover or the vent outlet, take the time to clean the dryer vent pipe exterior before going back inside. You could do this with a vacuum, or if you have a leaf blower vacuum like the Turbine Fusion Leaf Blower, Vacuum and Mulcher, you could use it to clean the exterior as well. Now that you have the exterior cover removed, you can head back inside to clean the dryer vent pipe. One accessory that can be useful for this job is a gutter cleaning kit for a leaf blower. With these parts, you can size down the nozzle of the leaf blower to make it easier to access the dryer vent and vacuum the area. Insert the end of your battery powered or electric leaf blower nozzle into the end of the vent pipe. Turn it on and just let it blow air through the line for a few minutes. When you are done, go outside to check the outlet. If any lint has built up around the end of the outlet, you can clean it out using a vacuum or remove the lint by hand. Once you have the vent pipe clear and thoroughly cleaned, you can replace the cover on the exterior of the outlet and clamp the vent hose back to the dryer. Now that you know how to use a leaf blower to clean your dryer vent duct, you can do this job with much less effort than it would take using a cleaning brush. With additional accessories like the gutter cleaning kit, you can also use your electric or battery powered leaf blower for a wide range of household chores that would otherwise be more difficult (or even more dangerous). Find everything you need to make cleaning a dryer vent duct a breeze with the Worx collection of leaf blowers and accessories. Click here to shop! Prepare the vent by gaining access to it, then clear the space with your electric or battery powered leaf blower.